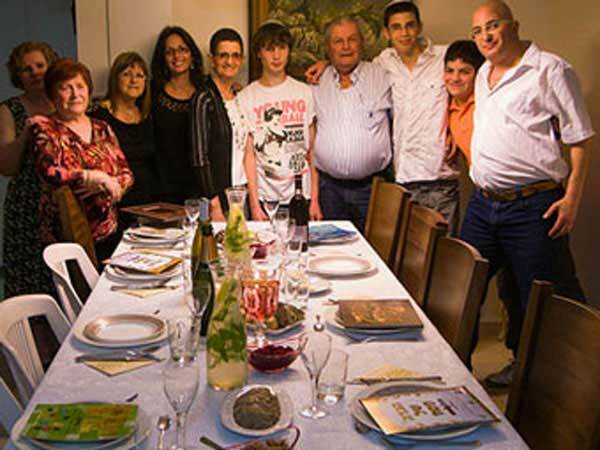 Jewish family in Israel sitting down to enjoy Passover dinner. Passover for the year 2020 starts on Thursday, April 9th and ends the 7 day holiday on Wednesday, April 15th. Because the Jewish calendar is a lunar calendar, the holiday begins on the sunset of the previous day on the evening of Wednesday, April 8th. For Reform and Reconstructionist Jews who follow the Biblical text they celebrate the holiday over 7 days, however, Orthodox, Hasidic, and other Jews in the Diaspora will celebrate the holiday as 8 days ending on Thursday, April 16th. Thursday, April 9th is the 99 day of the 2020 calendar year with 11 months, 21 days until the start of the celebration of Passover 2020.